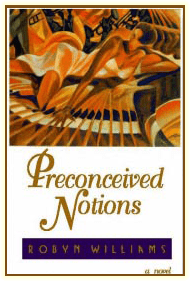 I encountered many challenges in getting my first novel, Preconceived Notions, published. After receiving hundreds of rejection letters from agents and publishers alike, I found success by enrolling my parents to mortgage our home, thereby enabling me to fund my dream of becoming a published writer. I traveled all over the U.S. and sold all five thousand copies of this initial printing (many times from the trunk of my car). With this experience beneath my belt, I was able to attract a major publishing company and the second edition of Preconceived Notions was published in hardback in the fall of 1996. Fortunately, these books also sold out in a matter of a few short months. While awaiting the reprinting of books, a tremendous demand was created for Preconceived Notions, however, no one was able to purchase the book because of challenges developing within the publishing company. Such was the demand forPreconceived Notions, that other publishing companies stepped forward with offers to buy and reprint the novel. Random House was one of the companies willing to buy my rights. However, everything was put on hold as I fought for the return of all my publishing rights. After years of persevering, I was able to retrieve all rights to my book. The marketing dollars and public relations efforts invested in the hardcover edition of Preconceived Notions resulted in it being catapulted to the #3 spot on Blackboard’s Bestsellers List. 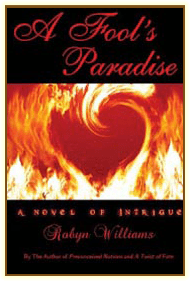 The novel was also featured in Essence, Emerge, Heart and Soul, Ebony, and Ebony Man magazines. Actresses Angela Bassett and Vanessa Williams both said through their agents that Preconceived Notions was a “delightful” read. When my second novel, A Twist of Fate, was released, it too, garnered rave reviews and sold remarkably well. It has been persistence and the sheer favor of God that has enabled me to have the success that I’ve had with each of my novels. I’ve come to know that in the pursuit of our dreams, we must be prepared for should we encounter pitfalls or hardship. Success makes our achievements all the more sweeter in light of the trials we face and endure. A Fool’s Paradise is my most exciting work to date. I’m please to present it to you as I would a gift. Please read it and enjoy. Finally, I move forward with efforts to have my second novel, A Twist of Fate, made into a film for the silver screen. Either Alicia Keys or Janet Jackson would be perfect for the role of Ashela Jordan. Dreams have been known to come true! In closings, I’d say to anyone that faith, persistence and perseverance are keys to success in any area. They have benefited me in my publishing career.